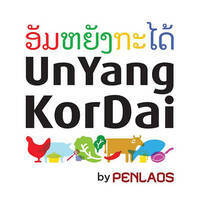 Un-Yang-Kor-Dai is a Thai restaurant located along South Bridge Road serving authentic Isaan cuisine. Hailling from Khao Yai, the eatery serves a unique range of flavours, highlighting with their signature PenLaos chicken. Joining the poultry are Isaan classics such as tom yum koong, brown glutinous rice, and salted egg som tam. Diners are provided a homely ambience to feast amidst, surrounded by murals as well as portraits depicting various sides of Isaan.